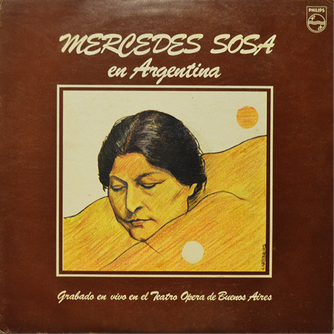 In her essay, “Back From Exile: Nueva Canción and Canción Protesta as Cultural Heritage in Early 80s Argentina,” scholar Illa Carillo Rodriguez (2017) describes the cover art for Argentinean folk musician Mercedes Sosa’s album, Mercedes Sosa en Argentina (figure 2) as evocative of the Andean “mother earth” figure of the Pachamama. In particular, she observes that in such depictions like Sosa’s album cover, the artist was portrayed as “a reassuring vision of nationhood that figured the body politic as a pre-cultural entity, impervious to historical vicissitudes and conflicts” (Ibid., 20). The author expands on this curious phenomenon, by asserting that the visual representation of woman-as-nature built upon an already-existing practice in nation-building: the “transfiguration” of the female body onto the natural landscape as an allegory of “normative femininity and nationhood” (Ibid.). 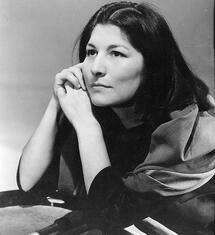 In the case of an artist like Mercedes Sosa, aspects of her life that are extraneous to the social frame of music, such as her humble origins and regional identity (she is from the Argentine Northwest province of Tucumán), are systematically conflated with archetypal figures – the Andean Mother Earth (Pachamama), the Argentine and Latin American “folk” – associated with her public image, and the characters and poetic voices of the songs she interprets. (Rodriguez 2017, 8). ​In the above passage, Rodriguez acknowledges Sosa’s class and regional identities, but does not make any mention of the artist’s racial and/or ethnic identity. Such an omission is troubling because the Pachamama—the female divinity that Sosa's body is meant to signify on her album cover—is not an archetype that is prevalent in Western visual culture. By this I am referring to the fact that the visual codes used in Sosa’s album cover are in line with the commonplace trope of woman-as-nature frequently seen in Western art, yet, the Indigenous figure of the Pachamama – by virtue of its non-Western origins – cannot be interpreted as endemic to such a discourse. Indeed, to assume so would be to erase the Indigenous origins, and by extension, the accompanying ways of knowing that figured in pre-Columbian conceptualizations of the Pachamama. Within Western visual culture, the female body has more often than not served as a signifier for complex ideas of nationhood, citizenship, and the aspirations of groups. Indeed, one can hardly think of the “American dream” without Lady Liberty coming to mind, or the successes of the British Empire without picturing the gallant Britannia. In the same vein, when one considers Sosa-as-Pachamama, one must consider the following questions: What ideologies was this manifestation of woman-as-nature supposed to encompass within this context? How does the absence of Sosa’s entire body on her album cover speaks to the ways in which she had come to be understood within the Argentinean imagination? In an attempt to address these questions, I consider the role of race and ethnicity in Mercedes Sosa’s artistic development. I also examine how her reception was shaped at least in part by Sosa’s adoption of certain racial politics. Specifically, I wish to highlight how racial identity was utilized by Sosa as a means of articulating her political identity whilst shielding herself from the limitations and censorship that were often imposed on Argentinean artists with such outspoken views. Oscar Chamosa (2008) writes in “Indigenous or Criollo: The Myth of White Argentina” that by the nineteenth century other Latin American countries had embraced the discourse of mestizaje, which propagated the myth that a given nation’s citizenry was the result of (consensual) encounters between Europeans and Indigenous peoples rather than the result of conquest and enslavement by the former. In Argentina, however, much of the literature concerning race was more conservative, promoting the importance of European immigration to the nation as well as the assimilation of Indigenous populations. Chamosa argues that the national policies implemented by nations that ascribed to notions ofmestizaje were more “benevolent” than those implemented by the Argentinian state. In Chamosa’s estimation, while the discourse of mestizaje was predicated on the gradual assimilation of non-white persons into whiteness—through both biological and cultural means—as well as on the discarding of the “lesser” African and Indigenous elements of the society (Ibid., 76), it was nevertheless rooted in forging a “new” national identity through the incorporation of existing members of society. By contrast, Argentina was unique in that its state-sanctioned articulation of a national identity was not only predicated on the centrality of whiteness (which arguably was the case with mestizaje, as well), but it explicitly called for the exclusion of non-white peoples from the national imagination. This inclination to “whiten” what was in reality a racially heterogeneous polity clearly exemplify the overarching motivations behind the production of twentieth-century Argentinian cultural patrimony. Chamosa observes that the Argentine folklorist Juan Alfonso Carrizo would go on to deliberately misrepresent the Indigenous residents of the Tucumán province—Sosa’s birthplace—as white, despite years of living amongst these communities (Chamosa 2008, 71). Unlike other parts of Argentina, the Tucuman province was largely unimpacted by the large waves of European migration that came to reshape much of the Argentine Pampas (78). Nevertheless, the government made attempts to creolize the population through legal and cultural means. In fact, Carrizo described the inhabitants of Tucamán as “criollo,” (71) an ambiguous term which referred to both Spanish-descended people and persons of mixed Indigenous and Spanish heritage. The use of the term was deliberate, as it allowed the Argentinean government to falsely propagate the widely-believed myth that the nation was almost entirely white (79). in San Miguel de Tucumán, Argentina. This symbolic whitening of Indigenous peoples was coterminous with the attempted whitening of Argentina itself, with over 6 million immigrants from primarily Western European nations, second-only to the United States. It was in response to these demographic changes that Argentine folk culture developed as cultural patrimony, and the reason why someone like Juan Alfonso Carrizo had gone to Tucuman in the first place. Matthew Karush (2017, 144) asserts in “Musicians in Transit: Argentina and the Globalization of Popular Music,” that the Argentine government, in response to a perceived dissolution of “Argentine” culture, encouraged scholars in the early twentieth century to collect songs and other cultural artefacts from rural environs in order to preserve and promote an authentic Argentine folk culture. Such a discourse of “authenticity” however functioned within the existing anti-Indigenous parameters of a state-sanctioned national identity. Overtly “indigenous” elements of Argentine folk culture were as a result stripped away, and many such cultural artefacts contained in fact anti-Indigenous messages. For instance, a recurring theme in many folk songs are the “lyrics [that] express nostalgia for the bravery, generosity, and patriotism of the gaucho or provincial resident of the past, values that were ostensibly lacking in the urban present”(146). The figure of the gaucho was in many ways antithetical to the Indigenous cultures that much of the folk inspiration had been collected from. Like the figure of the American pioneer, his presence was predicated upon the dispossession and, oftentimes, the genocide of Indigenous peoples (157). Nevertheless, from the outset of the folk revival in Argentina, artists appropriated Indigenous styles for use in their repertoires. 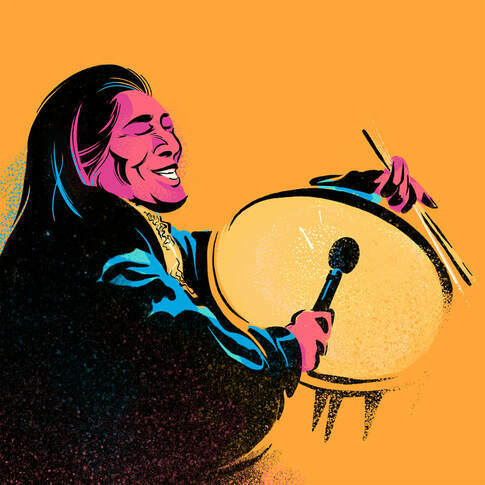 Hector Chaverero for instance, who is better known by his stage name of Atahualpa Yupanqui—a name which is derived from the titles of two Inca Kings—was a pivotal figure whose oeuvre represented a shift from the traditional racism of Argentine folk music. Unlike other musicians from this period whose songs valorized the gaucho at the expense of the “savage” Indians, Yupanqui instead celebrated Indigenous cultures in songs like “Caminito del Indio,” which links the indigenous populations of northwestern Argentina to the famous Inca Civilizations (Karush 2017, 157). The celebration of Indigeneity in Yupanqui’s songs was tied to his political beliefs as a communist and was explicitly linked to his “denunciations of the exploitation of the poor” (Ibid.). At the same time, the warm reception he enjoyed in Europe through this strategic appropriation of Indigenous culture also contributed to the formation of this particular artistic persona. La Voz de la Zafra, 1962. The leftist Nueva Canción movement (NCM), or Nueva Cancienero—of which Mercedes Sosa was part—was heavily influenced by Yupanqui (Karush 2017, 157). Like Yupanqui, Sosa was a communist, and she would, like him, employ an Indigenous persona through the course of her career. From the outset, the NCM deployed “sonic and visual allusions to Andean indigeneity—Andean rhythms and instruments, ponchos—in order to express a revolutionary Latin Americanism” (Ibid., 169). As a leftist movement, the NCM was similarly concerned with the plight of the poor. The lyrical content of the songs was in this sense different from earlier folk musicians because they did not focus so much on the beauty of the land or idealized the peasant class. Rather, they concerned themselves with representing the plight of the pueblos (workers) through sophisticated socially-aware lyrics (Rodriguez 2015, 231). At the beginning of her career, Sosa’s audience was limited in part due to the overt leftism of her own work and of the NCM at large. The cover art for her first studio album La Voz de La Zafrastands in sharp contrast to the stripped-down approach that would dominate the visual aesthetic of her later career (see Figure 3). Rodriguez describes this album cover as conveying “an image of modern, cosmopolitan femininity” (Karush 2017, 151). Sosa’s hair is pulled back and straight, her face is made-up, and she wears ostensibly Western clothing. According to Karush (Ibid. ), such imagery was part of an overall push by her record label at the time, RCA Victor, to have a more mainstream (or, white) image that would appeal to a wider audience—beyond the NCM’s core fan base of young leftists. It would not be until 1965, at an annual folk festival held in Cosquín, Cordoba, that Sosa’s indigeneity would begin to be overtly featured. At this performance, she sang “Canción del derrumbe Indio” which takes an indigenous person’s perspective on the demise of the Incan empire. The performance was very favourably reviewed, in part due to her newly “Indigenous” appearance. The transformation was so stark compared to her previous cosmopolitan appearance that it led one festivalgoer to remark “Who is that woman who looks like a servant?” (Karush 2017, 155). The festivalgoer’s statement was, of course, loaded with both racialized and classed assumptions on what a servant looks and dresses like. With no makeup, long black hair, and her dark skin tone, Sosa’s appearance provided a number of visual cues that coded as “indigenous” for her audiences, which in turn furthered the emphasis put on her body as conveyor of indigeneity. Karush observes for instance that many accounts constructed her as an asexual figure by emphasizing her maternal role, noting an article about the 1969 Cosquín festival that featured a photo of Sosa smiling with her son, which referred to her as “the Mother of the Festival”. In another article from this time period, she is described as a “robust and Indian-like woman” (159). In both instances, Sosa was simultaneously gendered and racialized by those she performed for. Like Yupanqui, Sosa was not oblivious to how these social dynamics impacted her reception nor to the ways in which they could be strategically deployed for her own benefit. For instance, when she was asked about what the Cosquín festival meant to women folksingers, she responded: “It is not a professional performance. It is giving and receiving the purest and most legitimate aspect of the passion of Argentine song which unites us (nos hermana) in one undeniable (irrenunciable) race” (160). Her statement plays down her professionalism as musician to frame instead her artistic expression as benevolent and arguably non-combative. In my view, one could interpret Sosa’s explanation as an attempt to sidestep the limitations imposed by an overtly leftist politics. Indeed, Rodriguez argues that her Indigenous identity also allowed to reconcile two modes of authenticity: traditional and innovative. While she was innovative in terms of her musical sensibilities, her outward appearance allowed her to be seen as “traditional” in the sense that it enabled her to sidestep the images of cosmopolitanism associated with other contemporaneous folk acts. The protonational body politic is feminized in this song through a set of poetic clichés that conflate Azurduy’s biography/body with the geography/history of the ‘incipient Patria’[…] Woman is, thus, brought into this narrative of nationhood and evolution, not as a real subject, but as the trope of a virtuous body politic through which the battle over the Patria’s essence is waged [… in] Mujeres argentinas […] the feminine largely operates as the idealized reservoir of patriotic values (238-239). 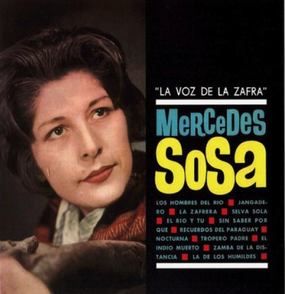 ​As Rodriguez (2017) herself argues, the art for Mercedes Sosa en Argentina was created after years of political turmoil that had led to Sosa’s exile from her own nation. The album art, much like her appropriation of Indigenous identity in the first place, builds specifically on the imagery of the divine feminine to avoid accusations of support for a specific ideology. By framing Sosa as the Pachamama, she becomes “the repository of immutable traditions and values” (21), yet she also stakes a cultural claim as an Indigenous person to the land and by extension, Argentinidad, or an Argentinian patrimony. Sosa, as the Pachamama, functions as Sosa the poor Indigenous commoner whose political demands are tied to a persistent but ultimately simple—or non-white, and therefore unremarkable—suffering. To be clear, the use of the word “simple” here is not to claim that such suffering is minor. Rather, it is reflective of the way Sosa invoked Indigenous femininity in order to obfuscate the complexity of her own politics. The image used in Mercedes Sosa en Argentinabuilds upon this through the figure of the Pachamama. By using an Indigenous figure during a moment where, as was the case at the outset of her career, Sosa was engaged in political and cultural struggle wherein overt leftism was not beneficial to her, Sosa’s embodiment of an “unchanging” (as symbolized by the mountain) Indigenous body allowed for the artists to critique the nation’s state of affairs in a way that was perceived as originating from a maternal and “pre-discursive,” and thus apolitical, space, rather than from the perspective of studied intellectualism. Indigenous femininity in particular helped make Sosa’s political claims appear to be an almost “intuitive.” In doing so, she strategically partook in an essentialism that in many ways cemented the legitimacy of the white nation-state—in itself antagonistic to Indigeneity—and made evident the existence and centrality of Indigenous peoples to the Argentinian body politic. CHAMOSA, Oscar. 2008. “Indigenous or criollo: the myth of white Argentina in Tucumán's Calchaquí Valley.” Hispanic American Historical Review88, No.1: 71-106. RODRÍGUEZ, Illa Carrillo. 2015. The Militant Song Movement in Latin America: Chile, Uruguay, and Argentina. Lanham: Lexington Books. RODRÍGUEZ, Illa Carrillo. 2017. “Back from Exile: Nueva Canción and Canción Protesta as Cultural Heritage in Early 1980s Argentina.” MUSICultures 44, No. 2: 5-28. KARUSH, Matthew B. 2017. Musicians in Transit: Argentina and the Globalization of Popular Music. Duke University Press.